THE HOMEBODY: Noun, a person who prefers pleasures and activities that center around the home; stay-at-home. This person loves to stay at home curled up in a huge blanket with his\her pup watching movies all day. I know a few of these types of people and I'm sure you do too! 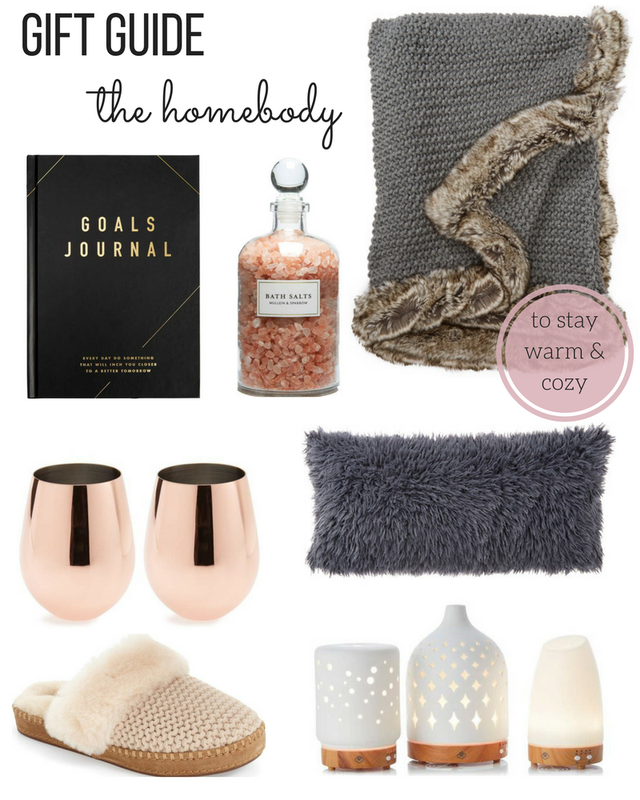 This person is easy to shop for, meaning anything soft and cozy will do!